About Trump National Golf Club, Washington D.C.
At the Trump National Golf Club, Washington D.C., a venue located in Potomac Falls, Virginia, there are over 600 stunning acres for couples and guests to discover and enjoy. 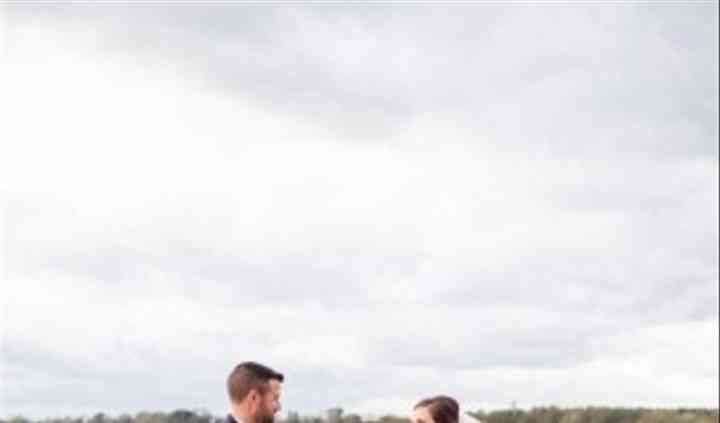 While you will be situated around 26 miles away from the city of Washington, D.C., you will get to step away from the business of the city and enjoy the natural beauty that abounds at this premier wedding venue site. A highlight of the Trump National Golf Club, Washington D.C. is being able to exchange your vows while atop the man-made water sculpture, with wonderful views of the Potomac River and golf courses in the background. After you say "I do", your guests will be escorted to the outdoor stone patio for hors d' oeuvres and a full open bar. During this time, the newlyweds are able to take bridal portraits on the property with their photographer. 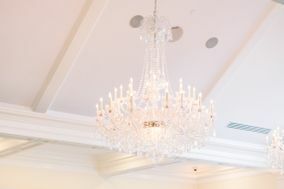 The main reception will be held in the ballroom, which features 10 crystal chandeliers, picture windows, high ceilings, and ample natural lighting. A three course meal and full open bar will be provided for your guests before they dance the night away! 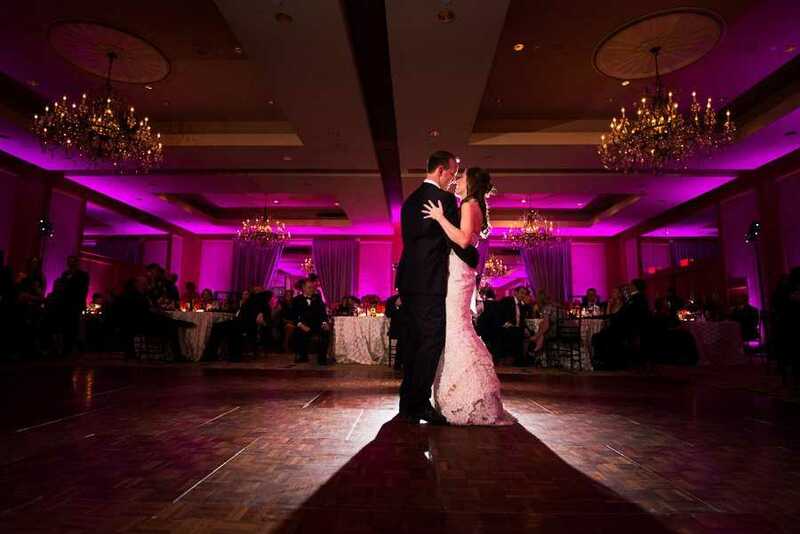 The ballroom can accommodate up to 250 of your dearest friends and family. 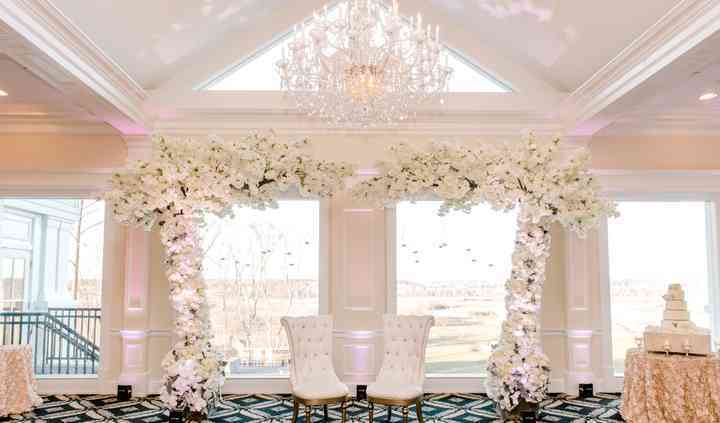 At the Trump National Golf Club, Washington D.C., couples can receive assistance all throughout their wedding planning process. Whether you need help with your wedding day décor or choosing an all-inclusive package that would best meet your needs, the team is able to help you out. Your ceremony and reception is not the only thing you can host here. You can also plan and receive assistance with your bridal shower, engagement party, elopement, and reception as well. 38 Reviews for Trump National Golf Club, Washington D.C.
On September 8th, we had our wedding reception at Trump National Golf Club. It was as close to perfect as you could get! Our guests were in total awe of the beautiful scenery and accommodations. The ... Read more staff, including the bartenders and servers, were wonderful, working hard and taking quick actions during the event. Things went so smoothly that you barely even noticed they were there. All of the food and Trump wine was delicious! 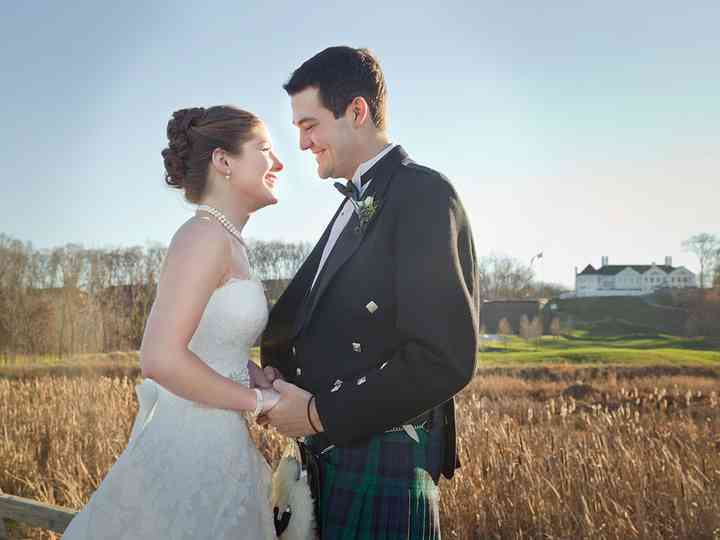 Our event coordinator at Trump National, Sarah Lusk, was like a member of the family, guiding us through the obstacles that accompany any wedding. Her calm, supportive demeanor was instrumental to what only can be described as a flawless reception. She went the extra mile to ensure that everything went without a hitch! 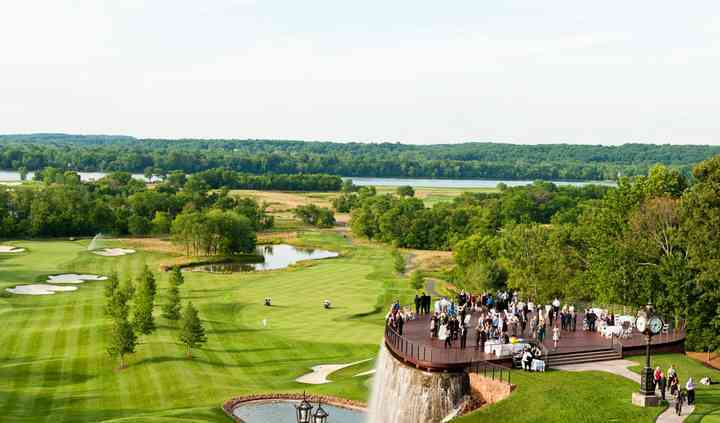 I can't imagine that there is any other venue that could compete with Trump National Golf Club for your wedding. If you choose to have your special day there, I guarantee it will be amazing! My daughter got married last Saturday July 7, 2018. She was engaged this past December and wanted to get married this summer. It was available! Sarah Lusk was fabulous for a stress free day! She was ... Read more in charge The place is beautiful. Brooke & Brian had the ceremony on the man-made waterfall with beautiful views. The cocktail hour was on the beautiful stone patio with beautiful river views. 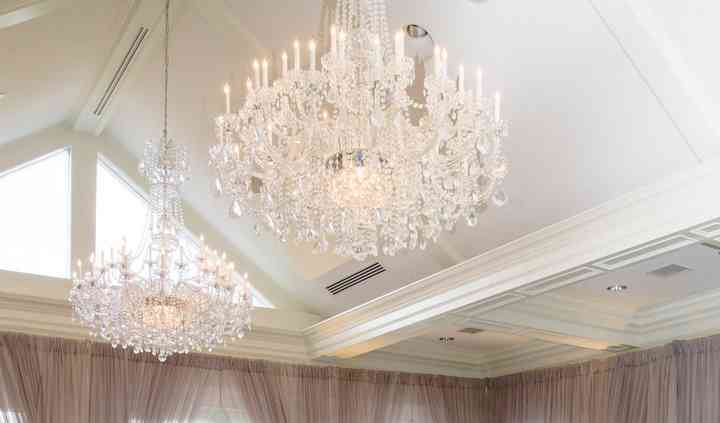 The reception was in the ballroom with beautiful chandeliers and wall to wall windows. The food was delicious! For people who didn't care for Trump, they still called the place beautiful! Magical! I highly recommend it and Sarah. From the moment we walked in to tour the venue, we were absolutely blown away. From the clubhouse to the views of the Potomac River, everything was absolutely beautiful. We signed a contract several ... Read more months after touring and the event coordinator had switch. Thankfully Sarah was so incredible to work with. She answered all of my questions and had great suggestions. Our wedding day was flawless and we have her and her team to thank for that. Our guest loved the food and couldn't stop talking about how beautiful the venue was. We are currently offering to reduce the Facility Fee for remaining Fall 2019 dates. Savings of $1,000-$2,500. This is a wonderful place for a wedding. You will simply never find a more wonderful, different, plenty big, elegant spot for a ceremony than here: a large platform, extending over the vista of the golf course with a waterfall around it. No, you'll not find anything as wonderful as this in Northern Virginia for your ceremony. The food is excellent, and the staff even better. (And who knows who you might run into? I have!) Don't miss the chance of a lifetime! The Trump is THE place for a regal, classic wedding close to the heart of our nation's capital. If you are looking for outstanding service, food you want to try again and again and views that leave you breathless, then consider the Trump for that perfect place to tie the knot! 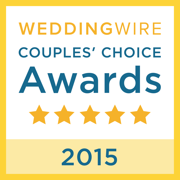 It is the destination for the classic, romantic, joyful couple! Trump National is a gorgeous venue and the staff are great to work with. As a cake/dessert vendor, we appreciate their assistance and we are always pleased. Thank you so much Trump National!